Electric griddles are the staple appliance for many families when summer rolls around. 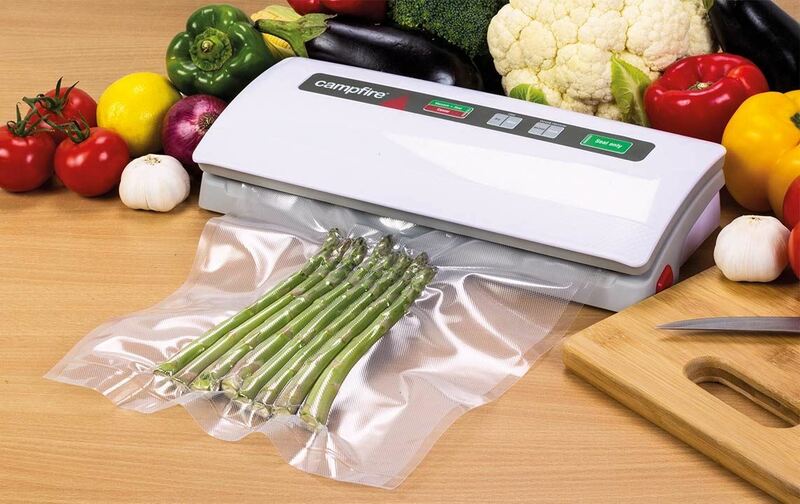 They are exceptionally useful for large family gatherings whether you are cooking breakfast or burgers. The large cooking surface is perfect for a picnic with friends or a barbeque with your sports team. 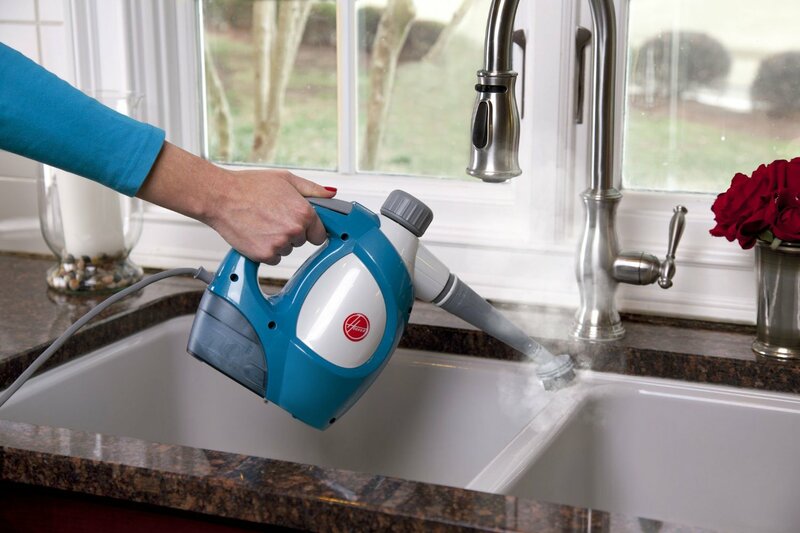 They are easily transportable and generally fairly easy to clean. Finding the perfect griddles for your needs, however, can be a difficult task. Nowadays, there are many different types of griddles with different features. Product dimensions 22"x12", cooking surface 20"x11", 8 servings. We’ve assembled the top-ranked griddles on the market and have laid out the features of each one below. 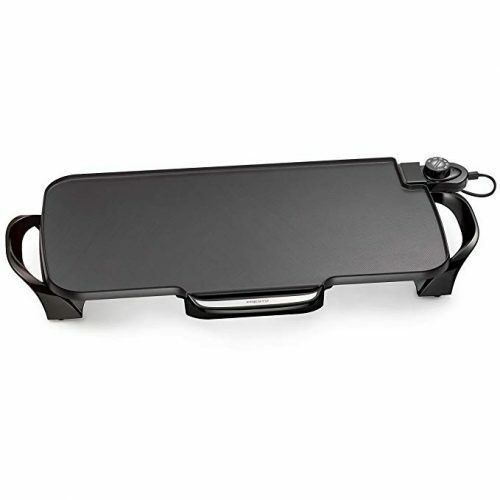 This Presto griddle is another traditional flat top appliance with one minor, yet extremely useful, twist. The handles are removable. They are attached via latch clips that allow for the handles to be easily detached an reattached. This means more convenient storage and transportation. 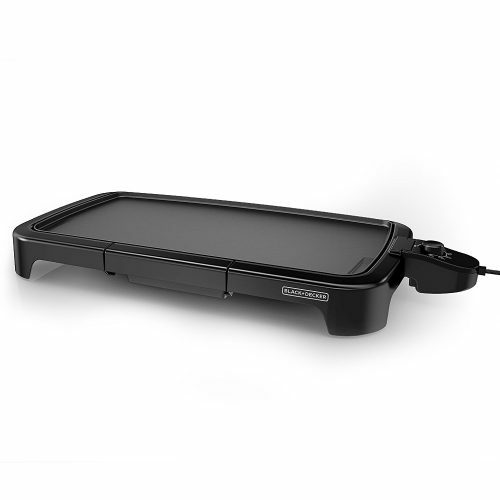 As with many other featured models, this griddle comes with a slide out drip tray for easy cleaning. It also has a large 22 by 12 inch textured, non-stick cooking surface. 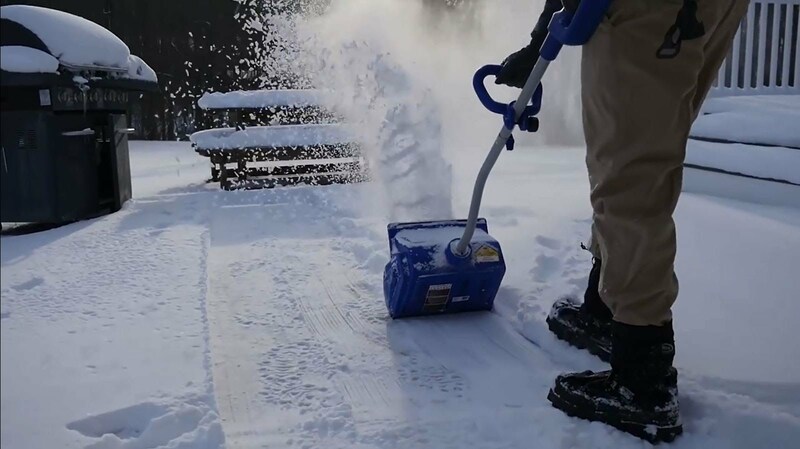 It is fully immersible once the heat control is removed for simple clean up and has a durable, warp-proof aluminum base. This model is also quite affordable for under $35. This griddle is a traditional flat top griddle with a 20 by 11-inch cooking surface. 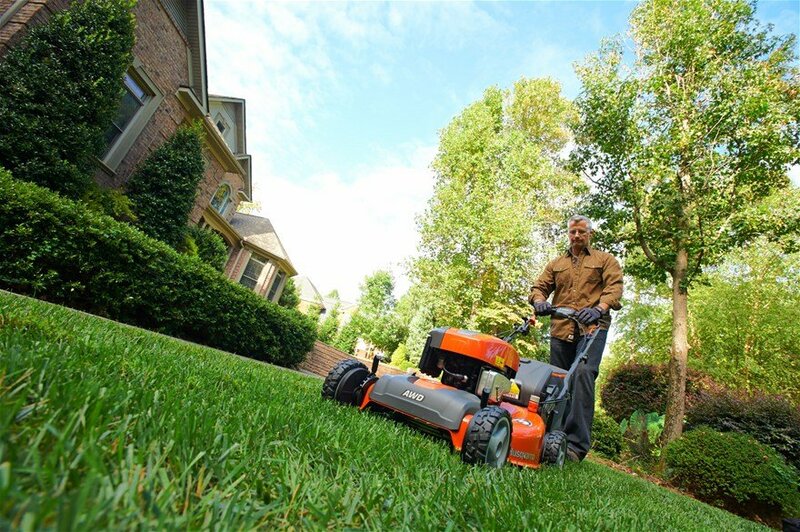 The overall product dimensions are approximately 22 inches by 12 inches. It features a non-stick cooking surface which is perfect for difficult foods such as eggs and pancakes. 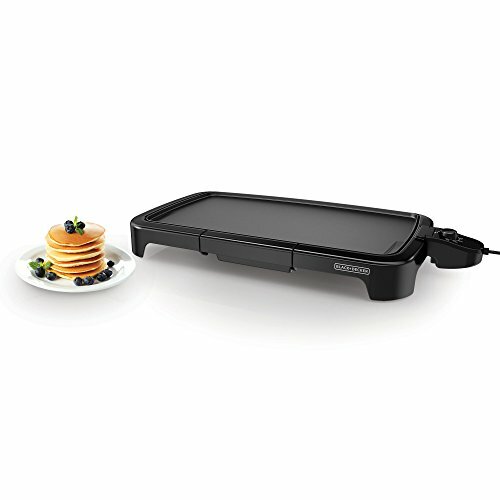 Unlike older griddles, it features a dishwasher safe drip tray to effortlessly collect and dispose of grease. Clean up is even more simplified through the fully immersible griddle surface. Once the temperature control is removed, the entire griddle can be placed in water for clean-up. The temperature control is a simple turn dial that goes up to 400F. For most users, this temperature is sufficient. However, some people like to have a higher temperature for crisper food such as hash browns. 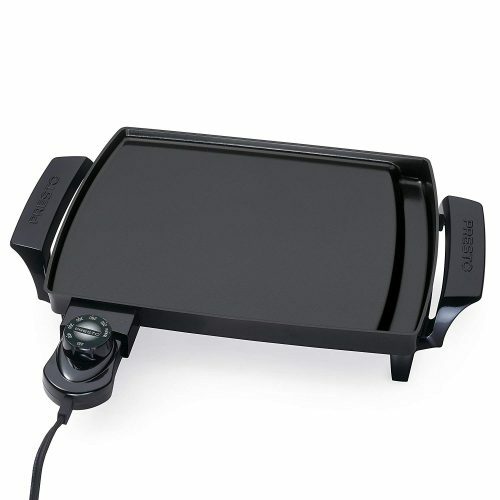 Additional drawbacks to this griddle include a short electrical cord, an easily broken plastic base, and a bottom that gets exceedingly hot which can cause damage to surfaces that are not heat resistant such as vinyl tablecloths. One of the major attributes for this griddle is the price point. 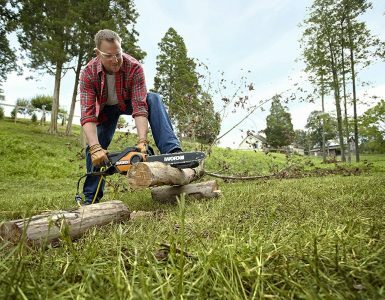 At under $30, it is one of the more affordable models that can fit into just about any budget. George Foreman has been a name long associated with indoor small grills and fat-catching drip trays. 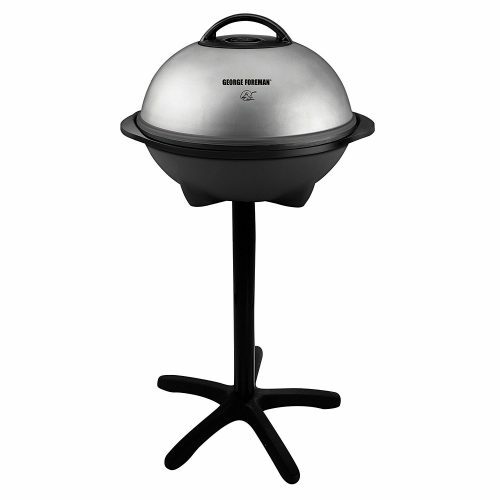 This indoor/outdoor grill is essentially a deluxe version of the smaller grill. This grill has a removable grill plate for easy cleaning and the ubiquitous drip tray. It has an impressive 240 square inch cooking surface with a non-stick coating for stress-free cooking. It also features a domed lid which can help keep moisture locked into the foods you are preparing and also helps keep any smoke or food smells contained. The heat control goes from low to high on this all-electric grill. The most unique feature of this grill is the indoor/outdoor feature. 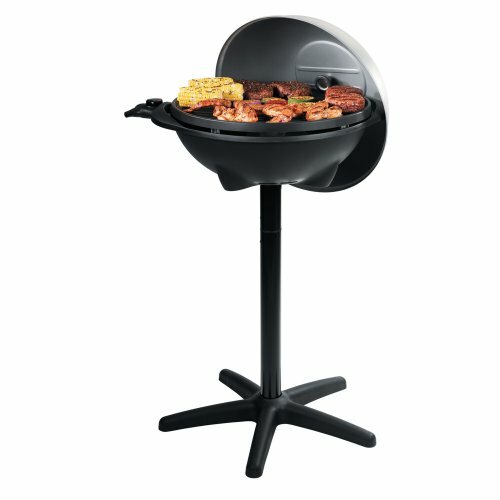 Inside, the grill can sit upon its countertop stand for quick and easy indoor grilling. 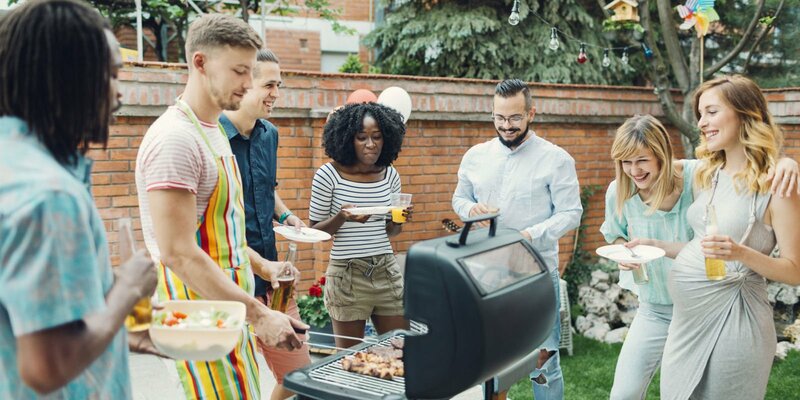 The only drawback of this is that the grill surface is large and the grill itself is round which can be bulky and difficult to work within small areas such as small apartment kitchens. If you want to take the grill outside, you merely need to set it up in its 2.5-foot high stand. 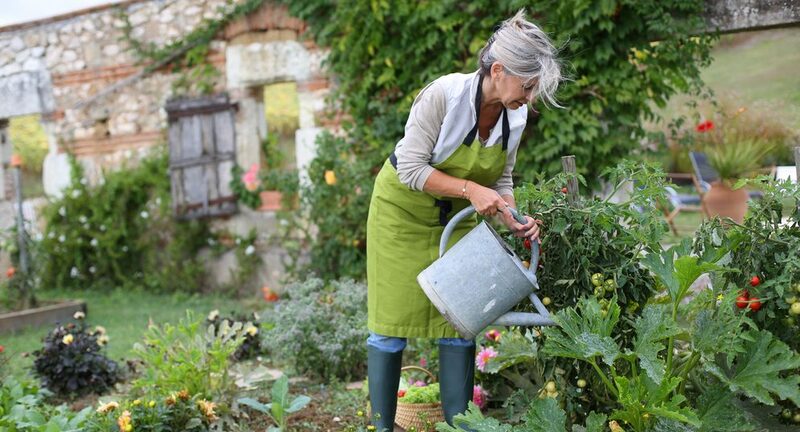 By going outside, you can keep smells and smoke outside and you never have to worry about running out of propane or charcoal. Another slight drawback of this grill is the price. It could be well out of range for some consumers at around $90. 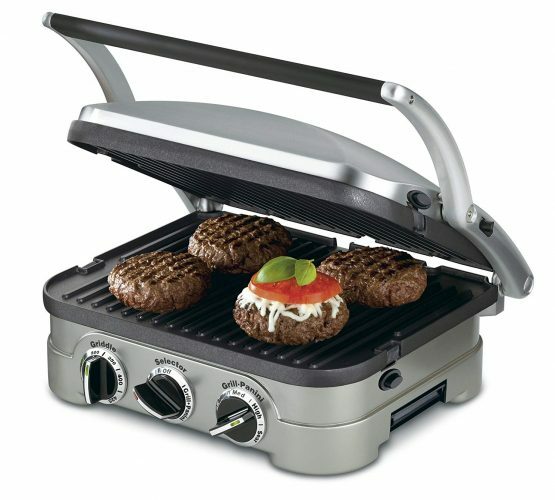 This Cuisinart Griddler is the pinnacle of multi-purpose appliances. It is a contact grill, panini press, full open grill, full griddle, and a half griddle/half grill. It comes with removable and reversible non-stick cook plates for versatile set-up and easy cleaning. 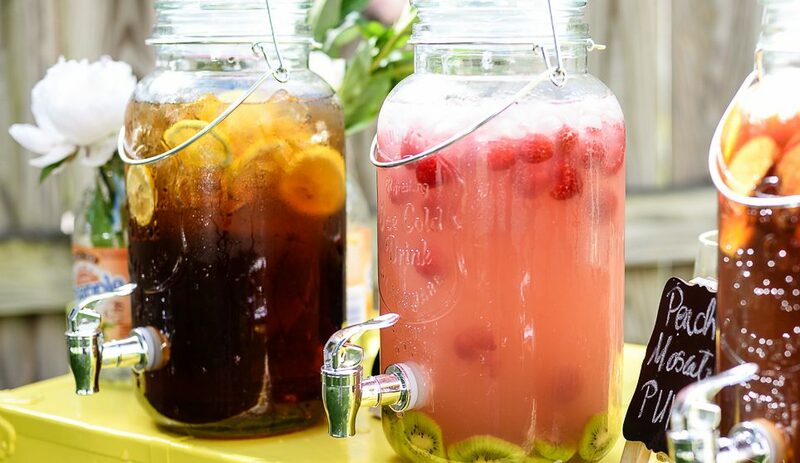 The plates are also dishwasher safe and have a drip tray that is also dishwasher safe. The Griddler also has adjustable temperature control knobs with indicators lights for simple temperature control up to 425F. It also boasts an impressive amount of cooking surface. While closed it has 100 square inches of cooking space which doubles to 200 square inches when fully opened. It also has the looks to complement the machine with a stainless steel housing. It also has a floating lid to help account for thicknesses in food allowing for everything from sandwiches to burgers to bacon. It also comes with a gourmet recipe book and scraper. The only major drawback of this appliance is the price. 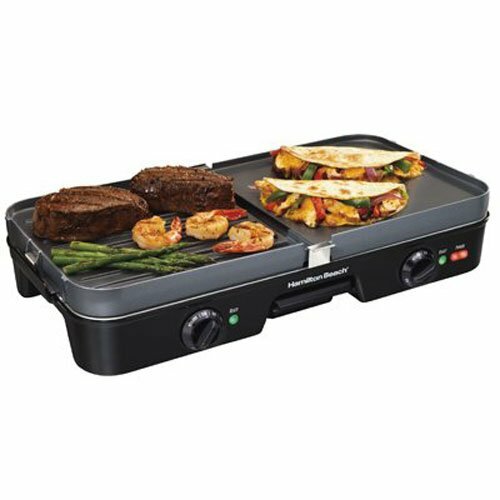 At around $90 it may be out of range for some consumers but the versatility of this griddle more than makes up for the price. 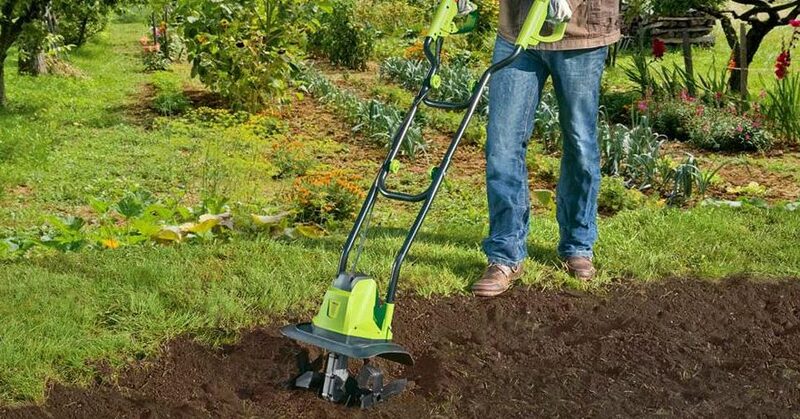 As the name suggests, this is one of the most compact models on the market. 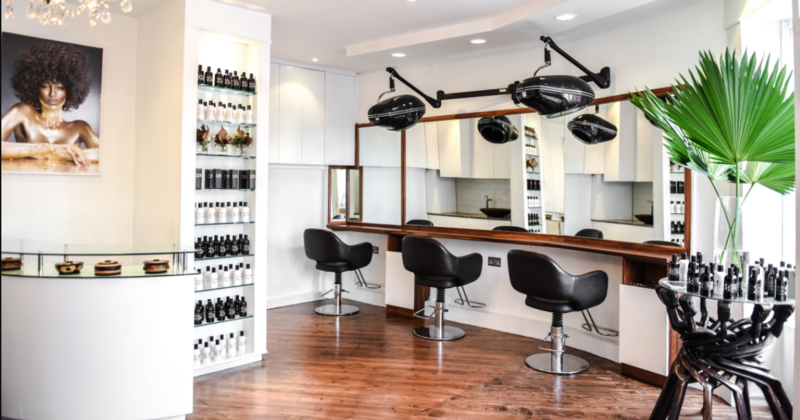 While this may seem like a drawback to some users, other consumers will find this to be a boon. 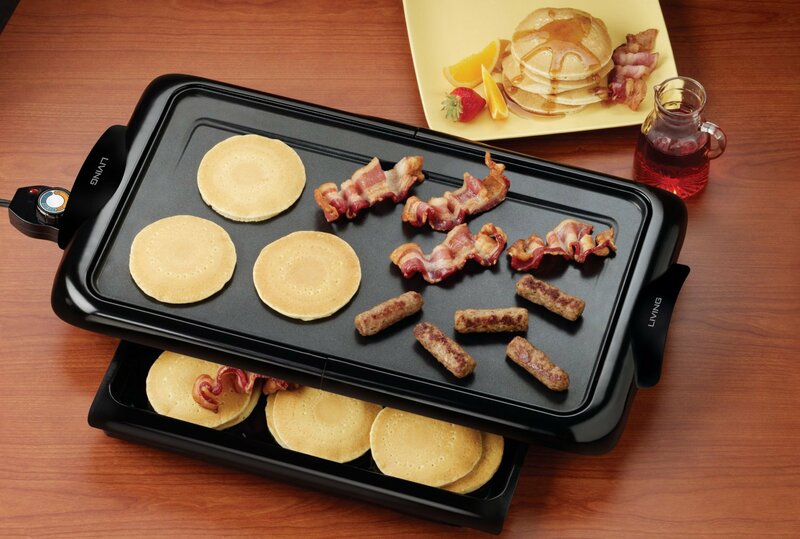 For those in small apartments, small workspaces, or smaller groups of people to feed, this griddle is the perfect match. It offers 10.5 inches by 8.5 inches of cooking surface with a non-stick coating for those difficult and sticky foods. The griddle is fully submersible after the temperature control is removed which further simplifies clean up. 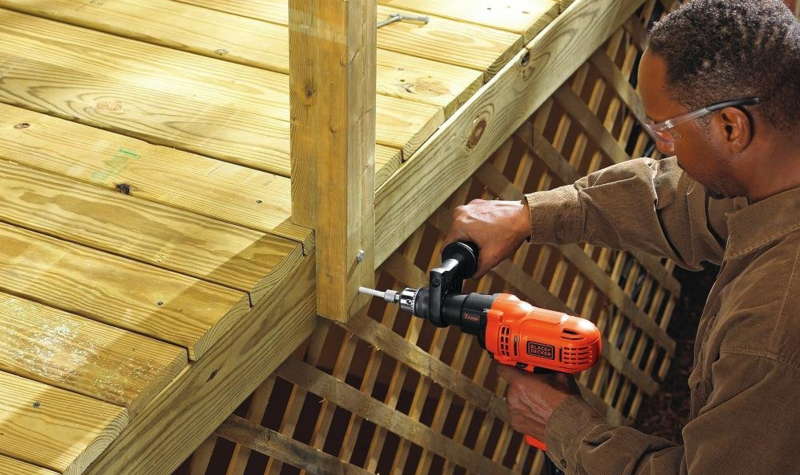 As with the Black+Decker model, the temperature control is a simple dial control that goes up to 400F. Again, this may be less hot than some consumers would like. Unlike the Black+Decker model, this griddle features an aluminum base which is warp resistant and more durable for travel and storage. 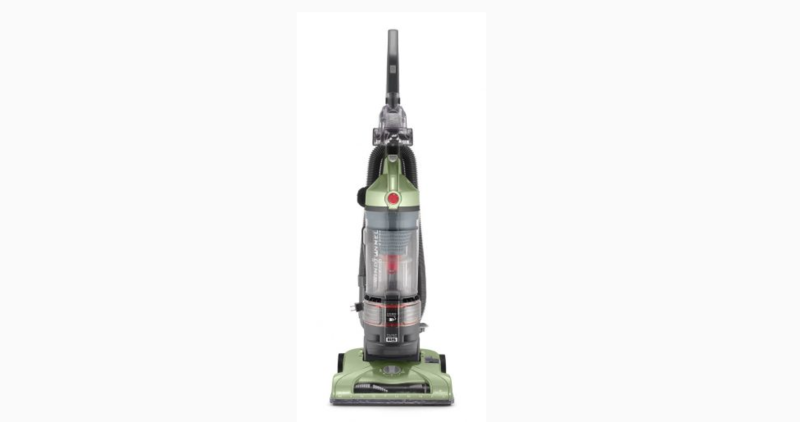 This model is also affordable at under $30 which makes it perfect for those just starting out or those on a tight budget. 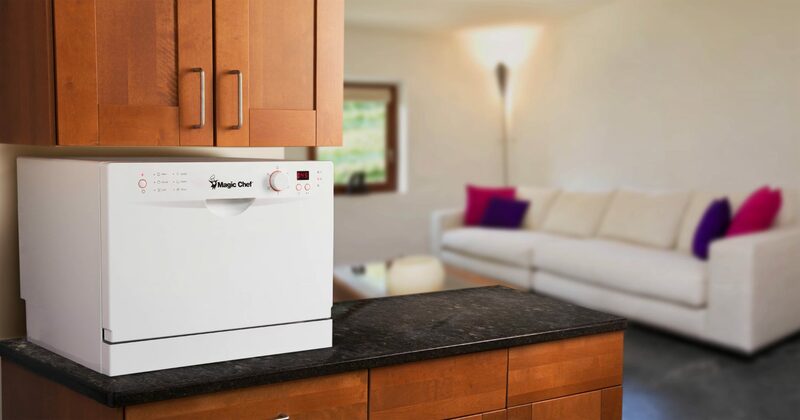 As with many appliances, there are a great many options out there for every budget. Hopefully, this list helps clarify what’s available on the market and what features are available. The key to finding the right griddle for you is to look at what you need and what you can afford.